Antenna TV has released its January 2016 schedule that begins on January 1. Of course as we mentioned, the biggest addition will be Johnny Carson airings, airing weekdays 11pm-12am (encore 2-3am) and weekends 10-11:30pm (encore 1:30am-3am). Antenna TV has announced that the weekday airings will be Carson episodes from the '80s and '90s, while the weekend airings will be from the '70s. The other new additions to the schedule are Mork & Mindy, Dear John, and Sabrina, the Teenage Witch. First up, Mork & Mindy will air weekdays from 5-6pm and Saturdays 6-7pm. Dear John will air late nights/early mornings weekdays from 4-5am and Sunday evenings from 7-8pm. The other new addition is a surprise, they will be airing Sabrina, the Teenage Witch Saturdays from 2-3pm. With these new shows, some shows will be on a break: Maude, Three Stooges and Too Close for Comfort. The rest of the Antenna TV schedule will have the same favorites you have been watching, but as always, for the most part, in new time periods. Some new time slots include Small Wonder (Saturdays 1-2pm), Mr. Belvedere (Saturdays 3-4pm), The Ropers/Three's a Crowd (Saturdays 5-6pm & Sundays 4-5pm), while Three's Company remains weekdays from 3-4pm & 3-4am, but weekends now have it at Saturdays 9-10pm & Sundays 11:30pm-12:30am. View the full programming line-up so you don't miss any of your faves! 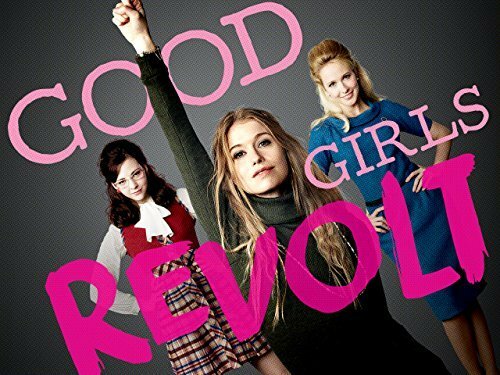 Amazon is loading up their original slate of content even more, picking up 10 episodes of drama Good Girls Revolt starring Genevieve Angelson, Anna Camp, Erin Darke, Chris Diamantopoulos, Hunter Parrish, Jim Belushi, Joy Bryant and Grace Gummer. Amazon also picked-up second seasons of dramas Man in the High Castle and Hand of God and comedy Red Oaks. But wait, Amazon has picked up three new comedy series, plus one more new drama, too. Dark comedy One Mississippi, starring comedian Tig Notaro, is a story loosely based on her life and follows her as she deals with the complex reentry into her childhood hometown of Bay Saint Lucille, Miss., to deal with the unexpected death of her mother. The cast includes Noah Harpster, John Rothman and Casey Wilson as Tig's girlfriend, Brooke. In Highston, the comedy follows 19-year-old Highston Liggetts, played by newcomer Lewis Pullman, who has a wide circle of celebrity friends -- that only he can see. His parents Jean (Mary Lynn Rajskub) and Wilbur (Chris Parnell) force him to get psychiatric help, but his Uncle Billy (Curtis Armstrong) thinks he's just fine. The pilot guest stars Shaquille O'Neal and Flea. In the comedy, Z: The Beginning of Everything, it is based on the life of Zelda Sayre Fitzgerald, the brilliant, beautiful and talented Southern Belle who becomes the original flapper and icon of the Jazz Age in the 20s. Christina Ricci stars as Zelda. In the political thriller Patriot, the drama follows the complicated life of intelligence officer John Tavner, played by Australian newcomer Michael Dorman, whose latest assignment is to prevent Iran from going nuclear. Lost star Terry O'Quinn also stars with Michael Chernus, Kathleen Munroe, Aliette Opheim and Kurtwood Smith (That '70s Show).